Infinix has just added a new device to its Mid Range Note series and its called the infinix Note 4. The new Infinix note 4 is the successor to the infinix note 3 which was released sometime last year. The new Infinix note 4 comes with a slightly smaller 5.7-inch display compared to the 6-inch display on its predecessor and also a smaller 4300 MAh battery. The device is also available in two variants which are the 2/16GB and 3/32GB version. 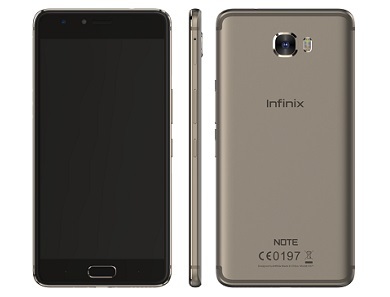 you can check out the full specifications and price of the infinix note 4 below. Launch Price: KSh 13,999 / NGN 53,000 (2 GB RAM) / NGN 58,000 (3 GB RAM).